As Deacon of Hospitality I am responsible to organize a group of individuals that work together to make everyone that comes through our doors feel welcome and help the newcomers to get connected to the ministry to which God has called them. An important mission of our group is to see our newcomers return, and to follow through for retention. This group includes the hospitality team, ushers and greeters. I accepted Christ as my Lord and Savior in my early 20’s. I grew up in a Christian home, was baptized by sprinkling in my early 20’s and rededicated my life to Christ while at MapleRidge in 1989 and was baptized by immersion. Through those years and some tough times I realized that only through Jesus Christ and the fellowship of other Christians could we go through such journeys. I have been married to Diane since February, 1969. We have three married children (2 boys and 1 girl). We have five grandchildren and 2 great granddaughters. 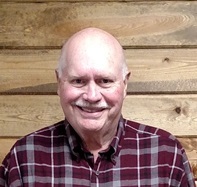 I have been a part of MapleRidge Church for 29 years and have served on a number of committees and boards. I now have a passion for seeing that those who enter our church feel welcome and want to stay. I want MapleRidge to be a beacon for God’s kingdom. I want those who enter our doors to feel love and compassion from other Christians. And I would like to see MapleRidge Church become a house of prayer.